Stefan has been helping individuals with their personal financial matters since 1994. 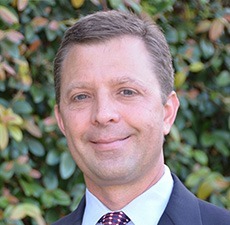 He joined Blankinship & Foster in 2002, became a partner in 2005, and CEO/President in 2007. Stefan is a believer in giving back to the community through active participation. He is currently on the Board for the Carlsbad Charitable Foundation, and has been a member of the Foundation’s Grant Committee. He has been on various volunteer committees for a number of local organizations, including the YMCA, KPBS and the United Way. Stefan served on the West Region Board for the National Association of Personal Financial Advisors (NAPFA), previously chaired the San Diego NAPFA Chapter and is a current member. He is a also a member of the Financial Planning Association (FPA); La Jolla Estate Planning, Trust and Probate Section and the North County Estate Planning Council. Stefan is also an active member with the Family Wealth Advisors Council, a national network of (9) independent, fee-only wealth management firms that collectively manage over $3 billion in assets. Stefan is licensed to use the Certified Financial Planner (CFP) mark by the Certified Financial Planner Board of Standards. He earned his Bachelor of Science in Finance in 1989 from San Diego State University. He has been listed as one of the best 150 financial advisors in the country by Medical Economics magazine.